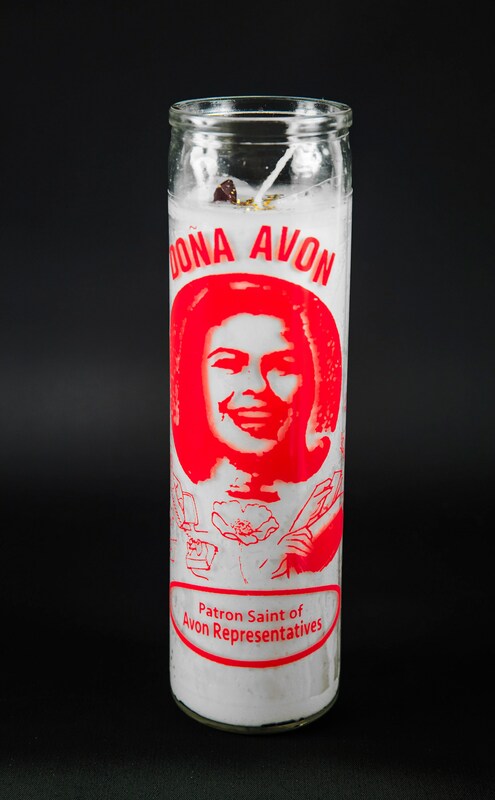 Entice more Avon sales when you light our Doña Avon, Patron Saint of Avon Representatives prayer candle. and bring prosperity to my recruitment downline. 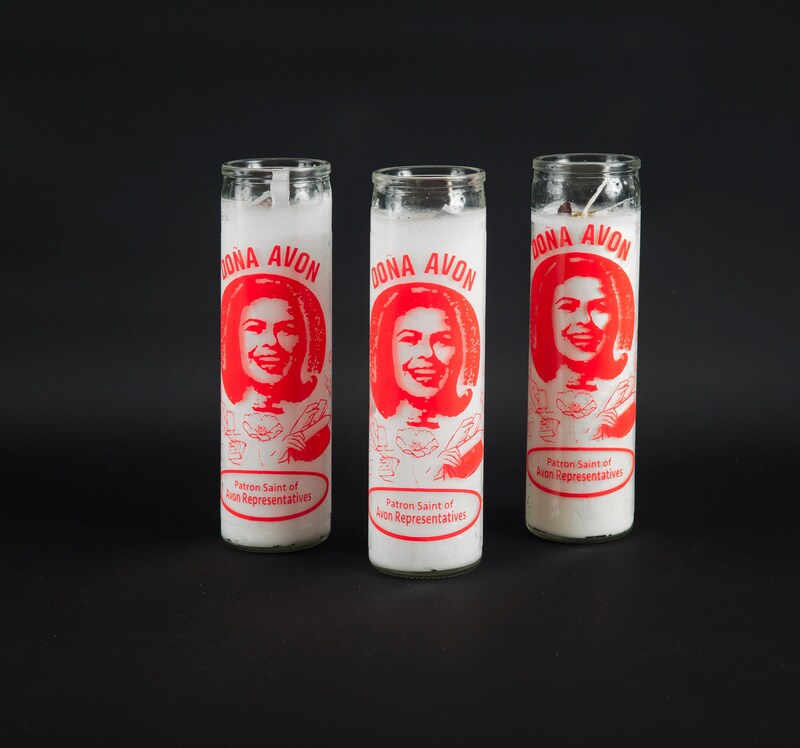 Each candle is hand-dressed with money sign confetti, gold glitter, Skin-So-Soft Body Oil and the tip of a lipstick sample. 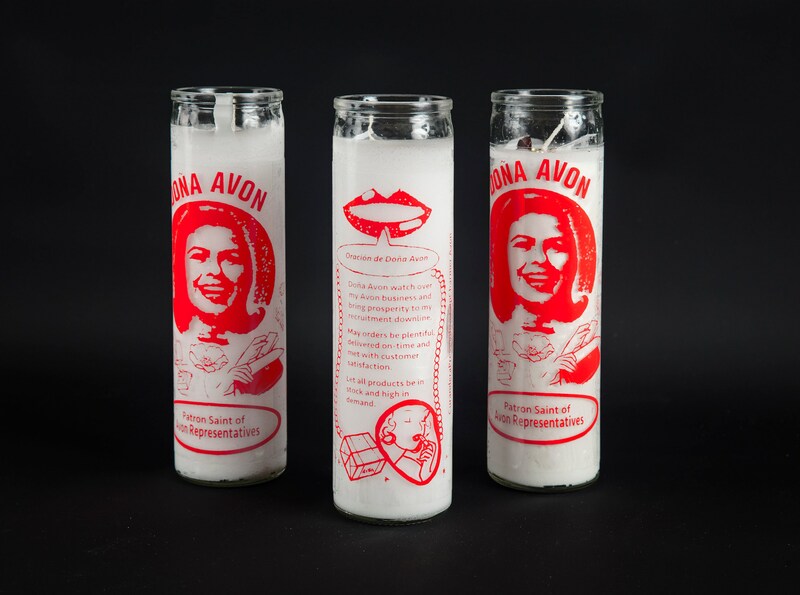 Burn with care and get ready for YOUR Avon business to flourish. Ships in an individual cardboard box.